Welcome to Animals Back in Action, the website of Registered Veterinary Physiotherapist Pennie Rowling. 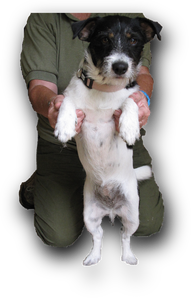 Pennie is a qualified Veterinary Physiotherapist working in Sussex and surrounding areas. She treats a variety of animals, including horses and dogs. If you are unsure if you require a Veterinary Physiotherapist you can find more information about Veterinary Physiotherapy here.